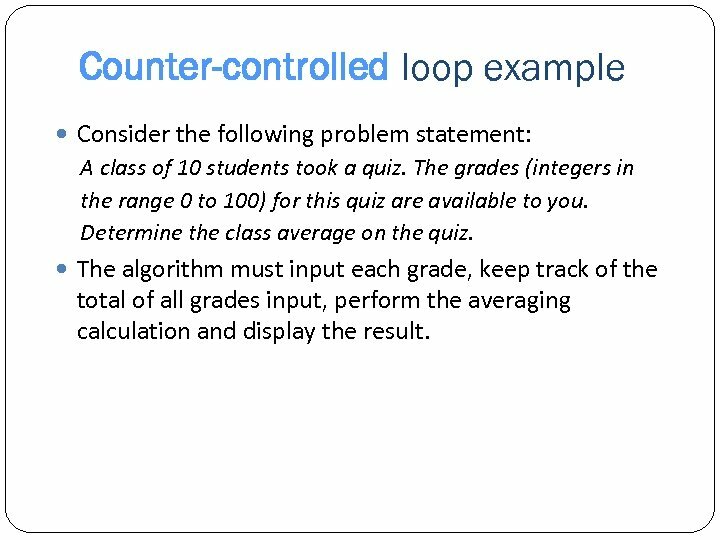 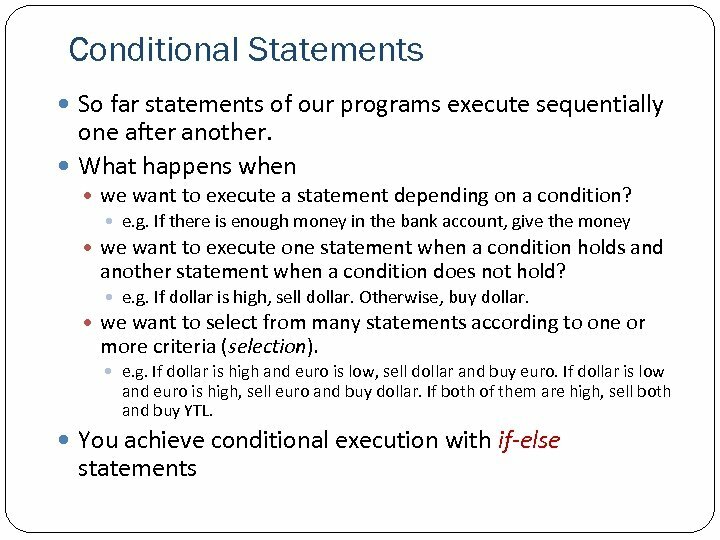 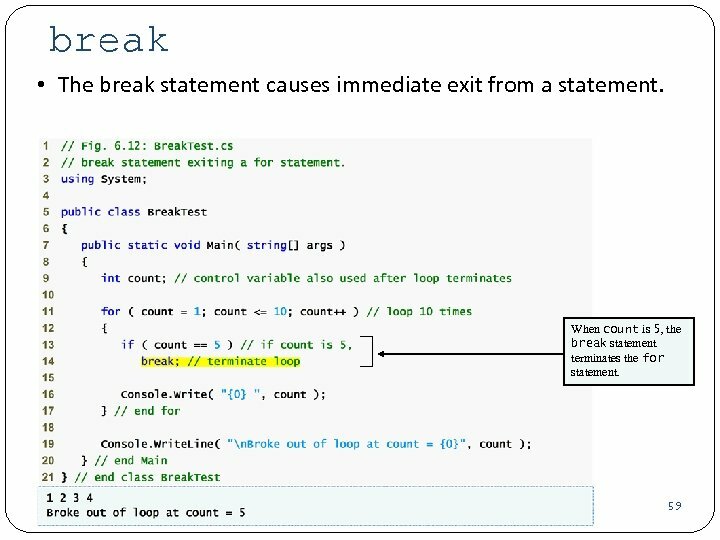 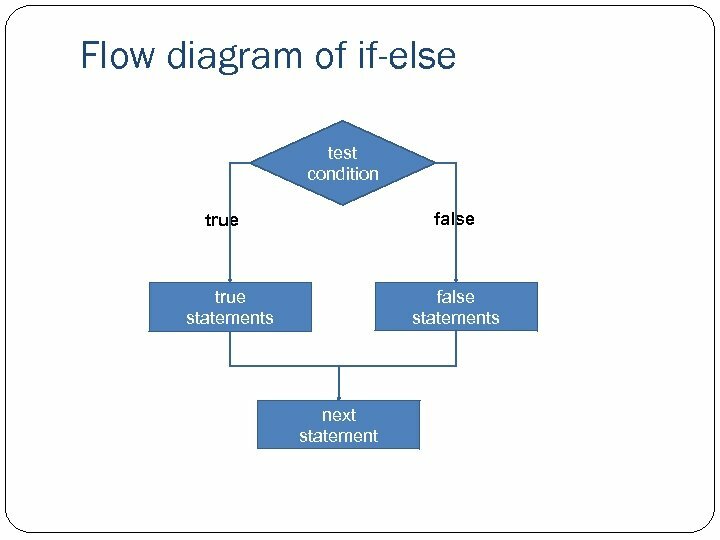 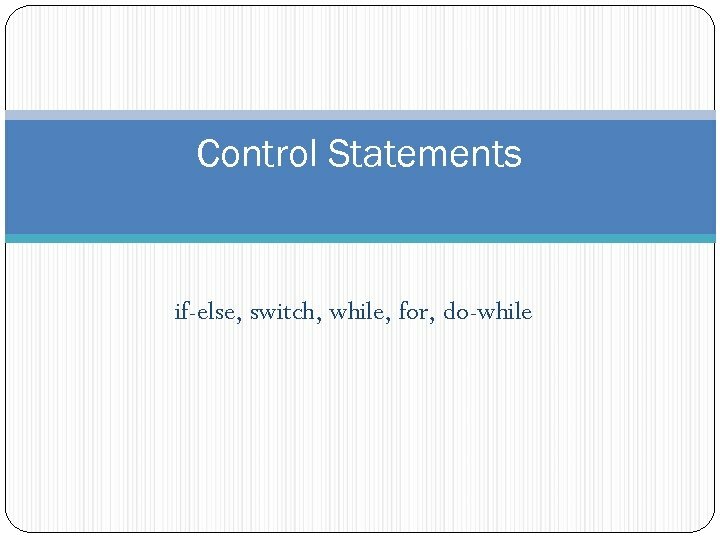 Counter-controlled loop example Consider the following problem statement: A class of 10 students took a quiz. 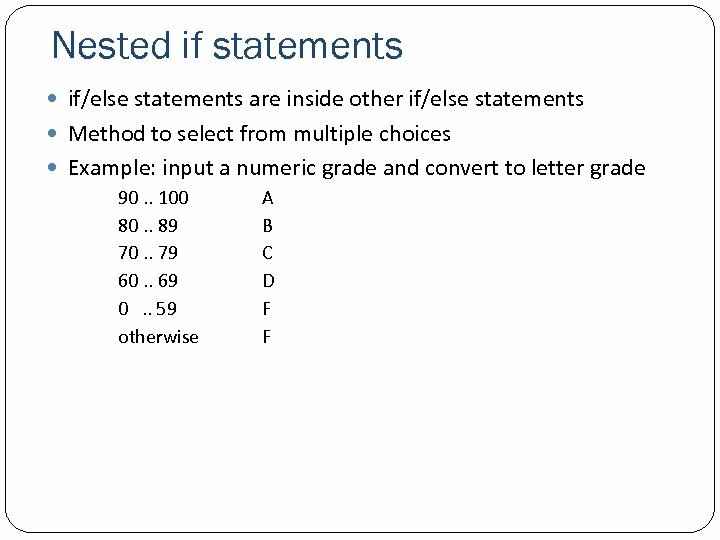 The grades (integers in the range 0 to 100) for this quiz are available to you. 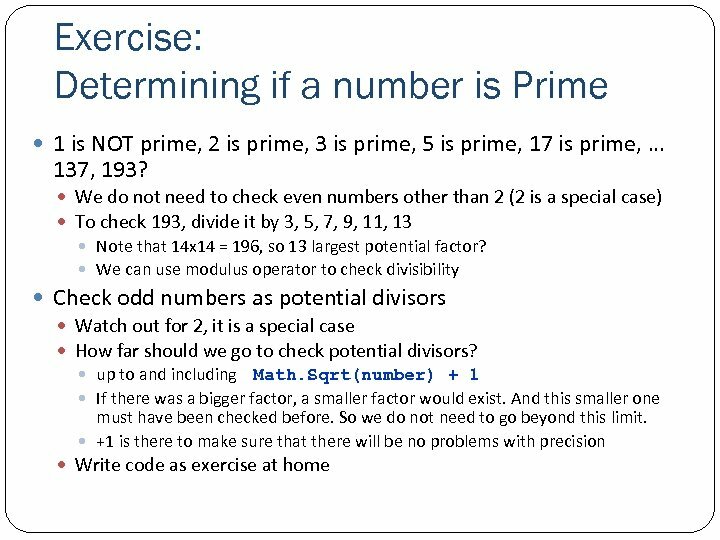 Determine the class average on the quiz. 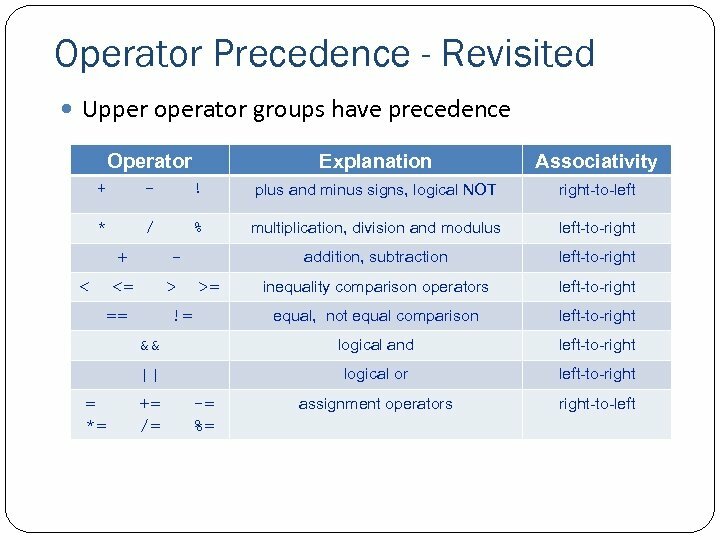 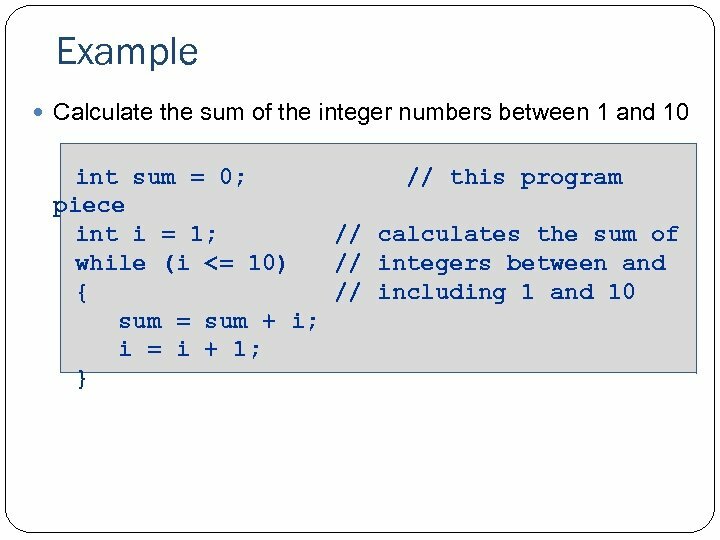 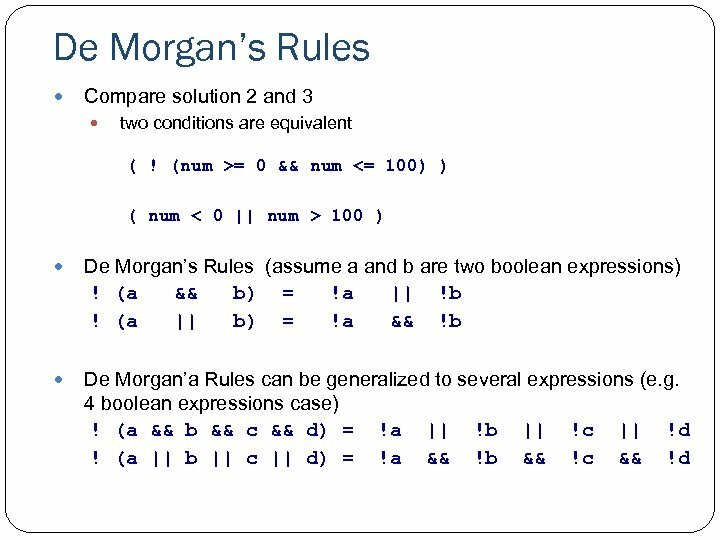 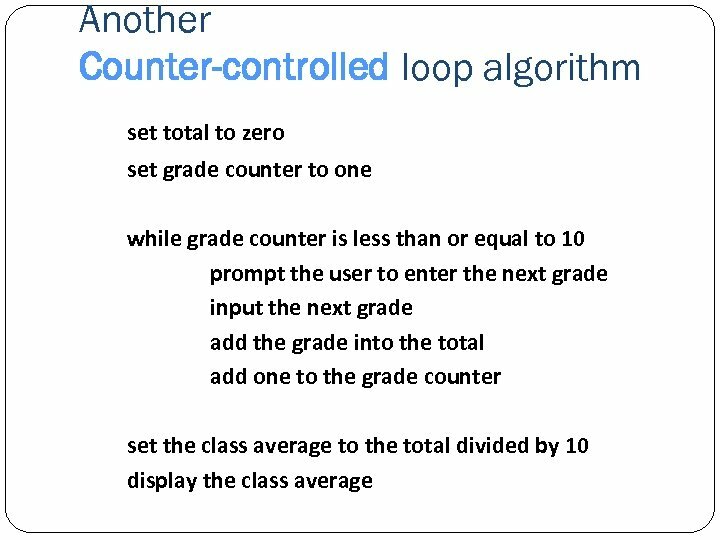 The algorithm must input each grade, keep track of the total of all grades input, perform the averaging calculation and display the result. 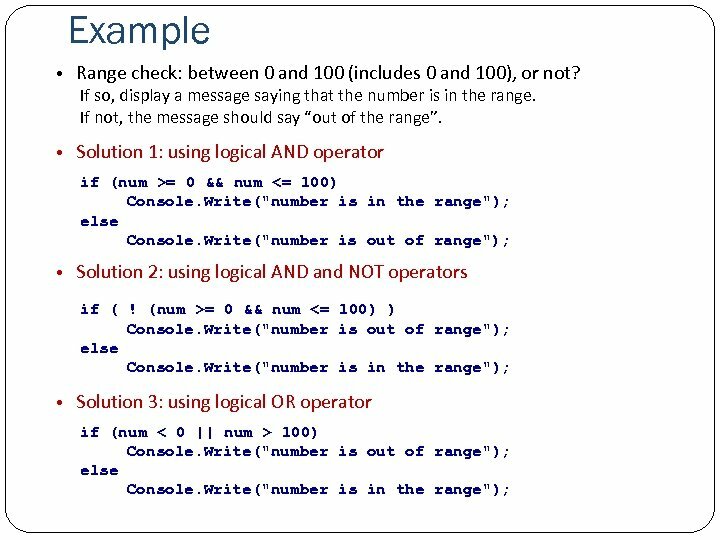 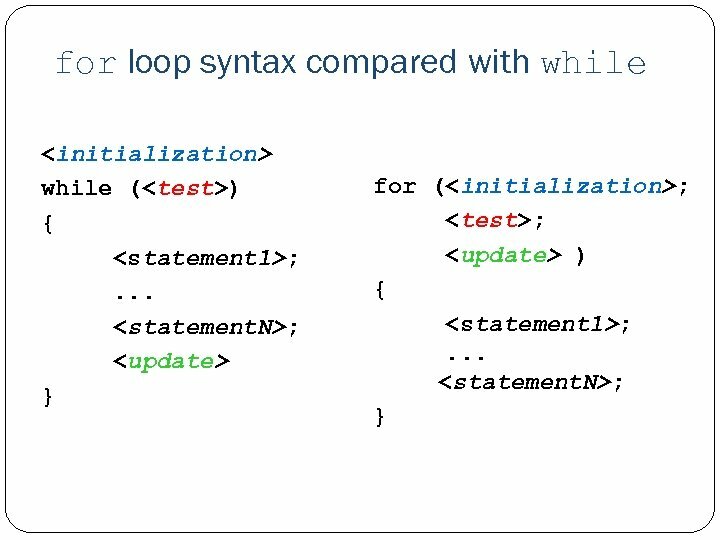 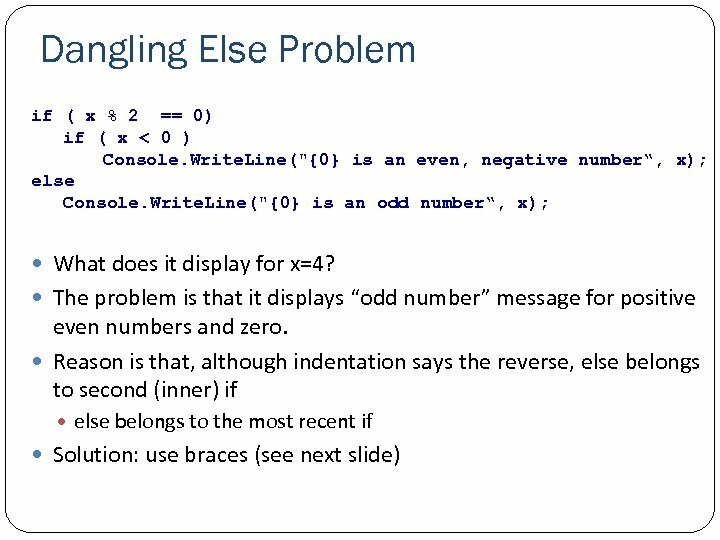 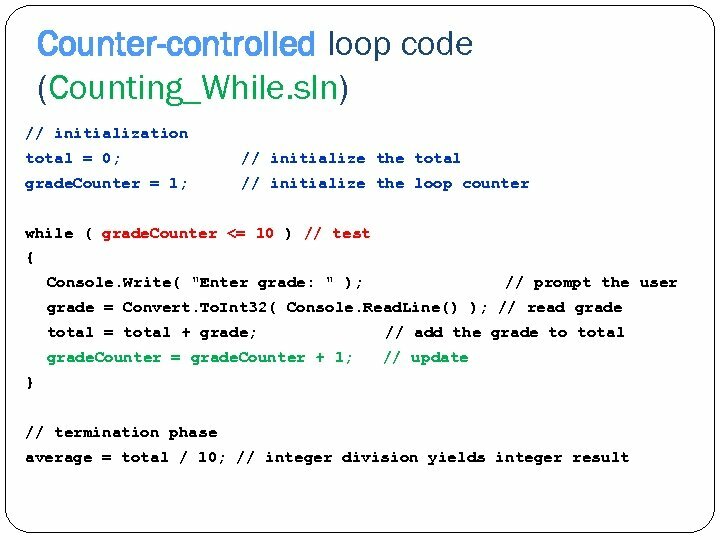 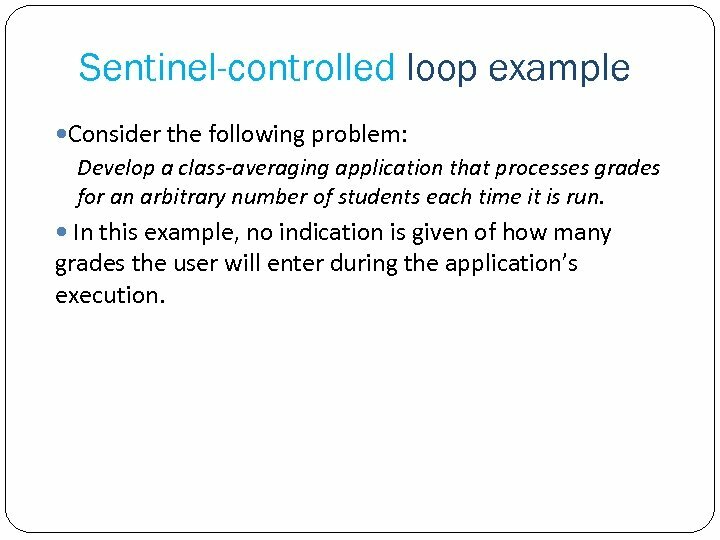 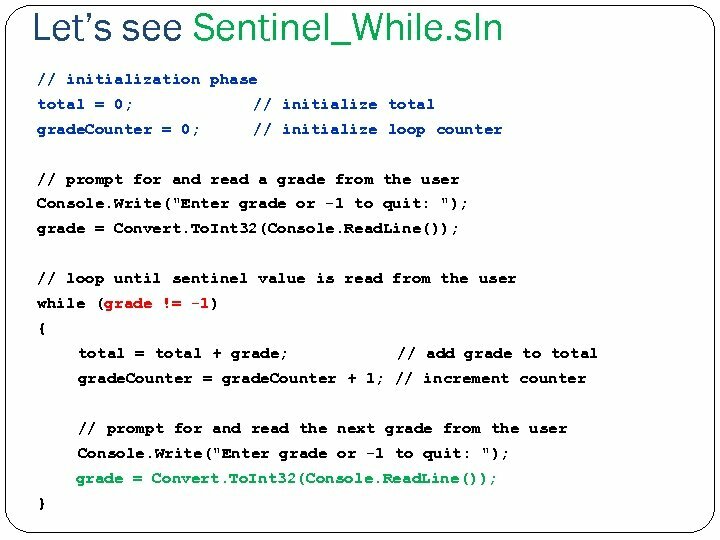 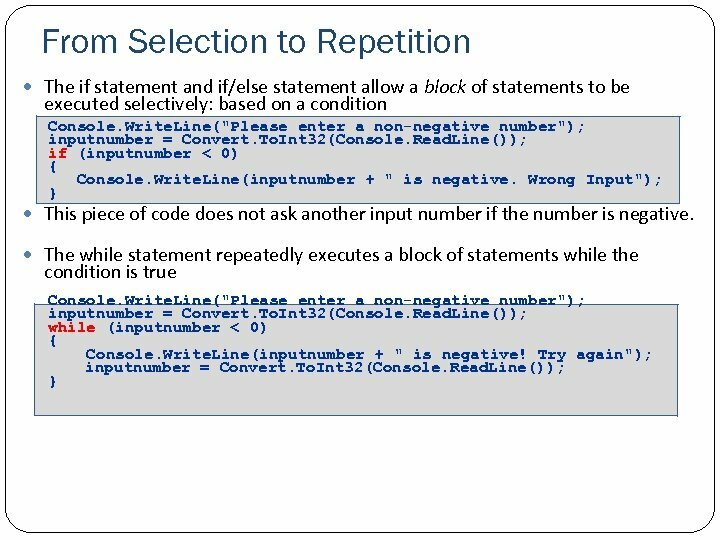 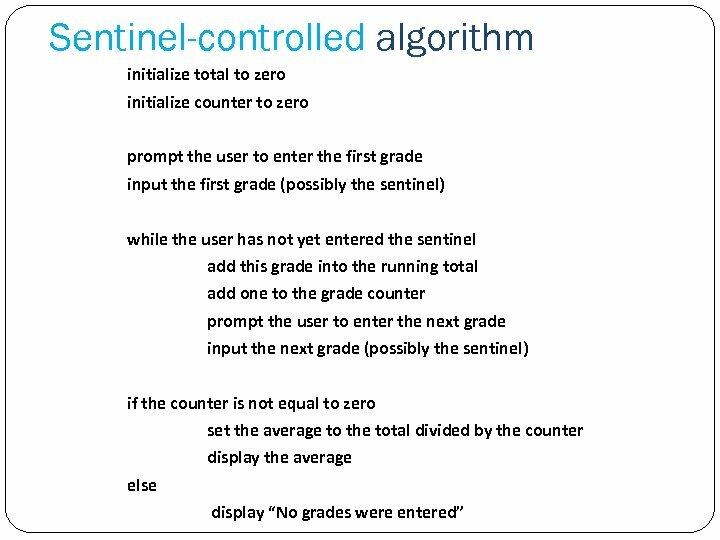 Sentinel-controlled loop example Consider the following problem: Develop a class-averaging application that processes grades for an arbitrary number of students each time it is run. 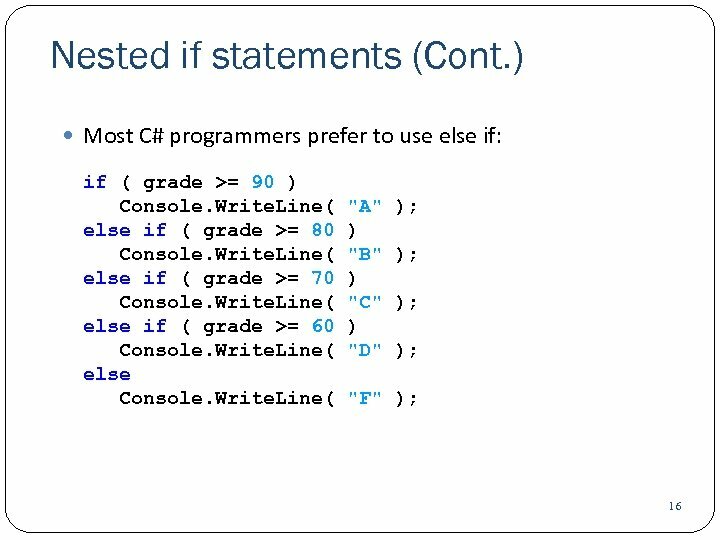 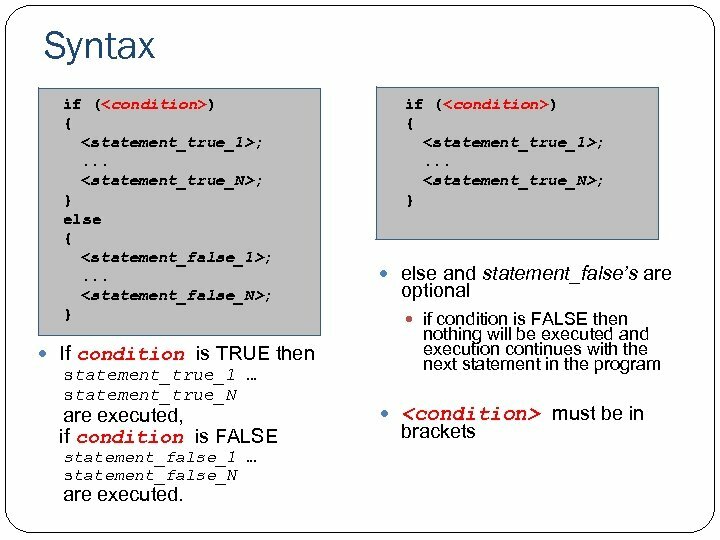 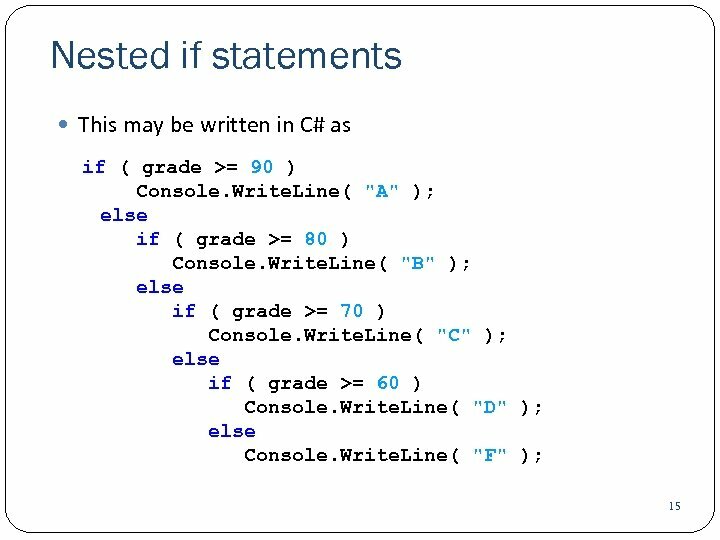 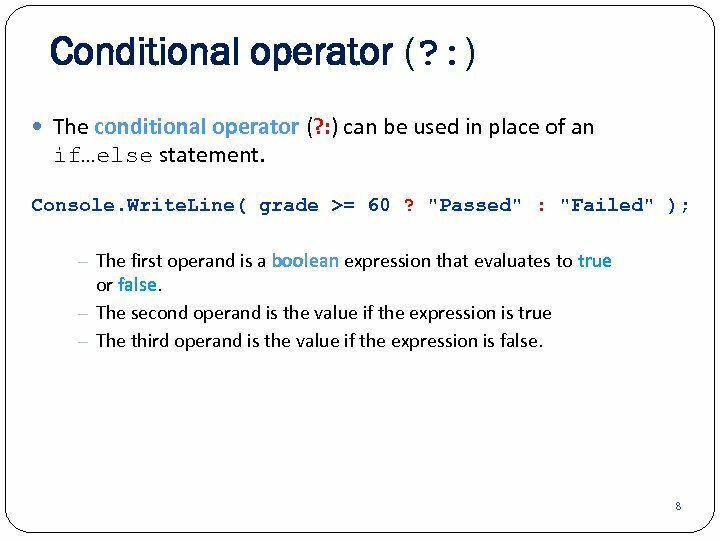 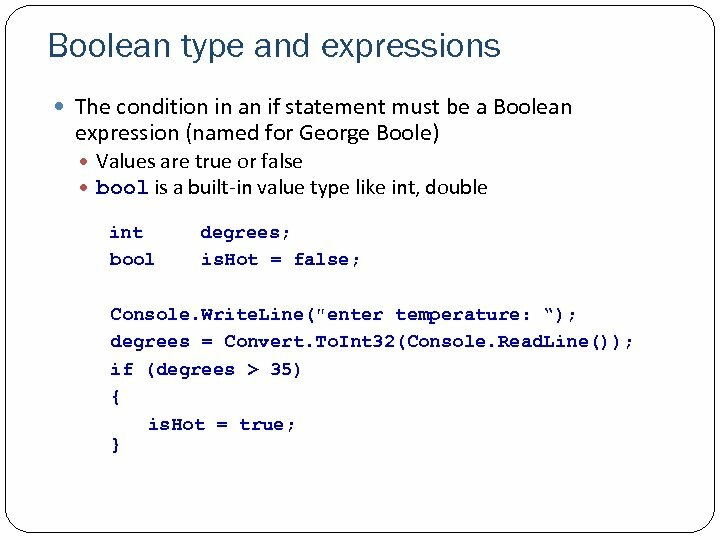 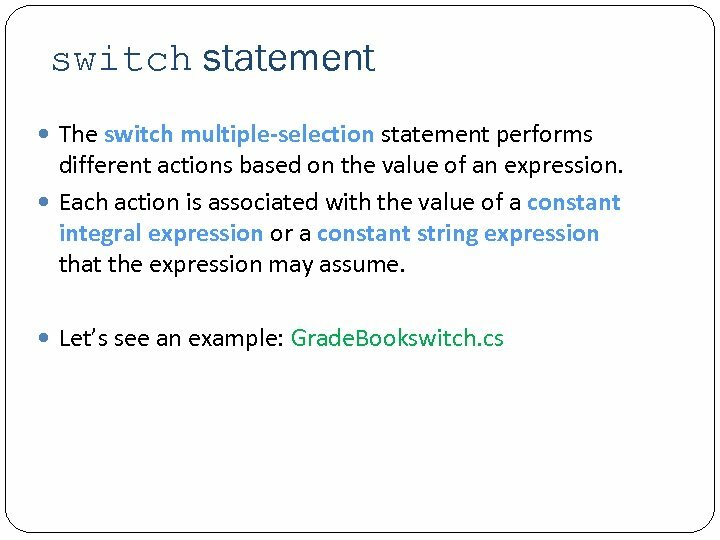 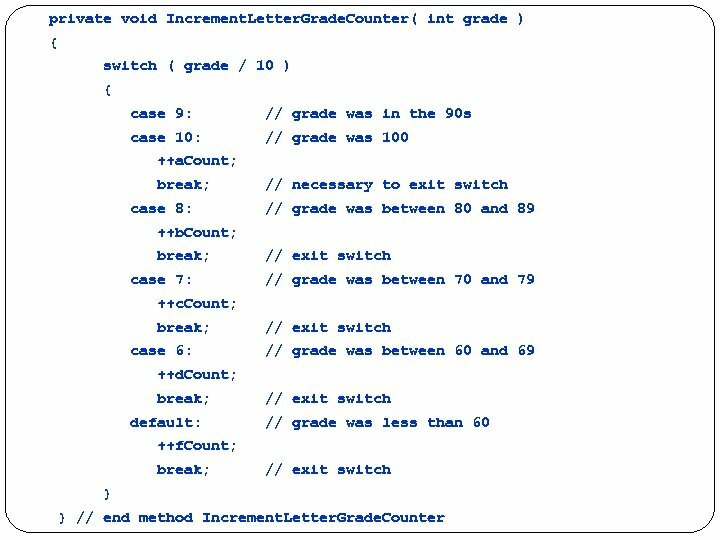 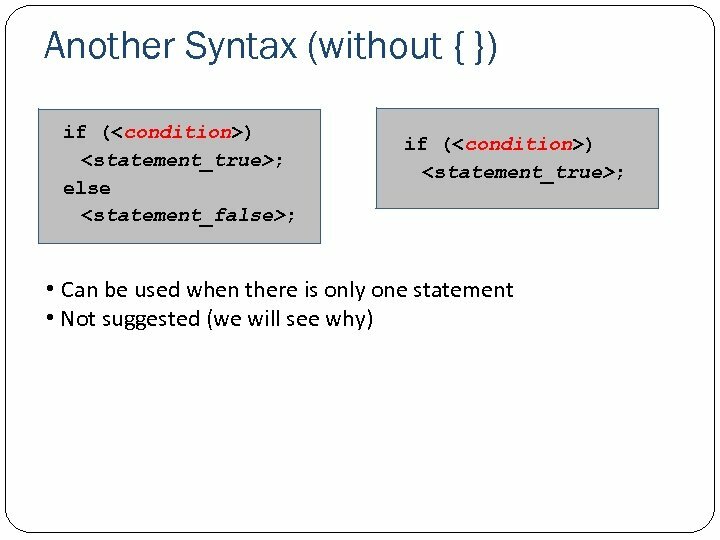 In this example, no indication is given of how many grades the user will enter during the application’s execution. 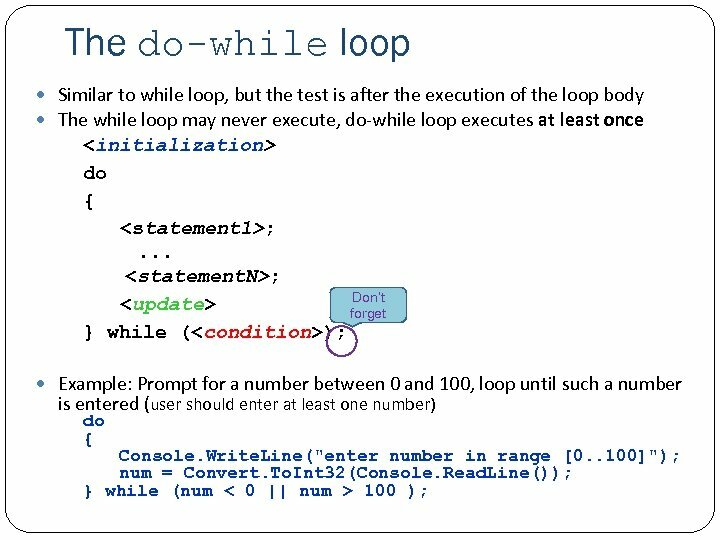 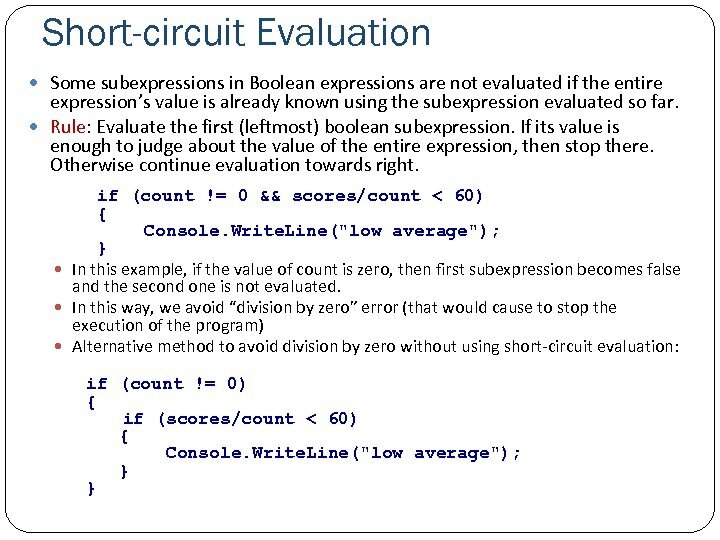 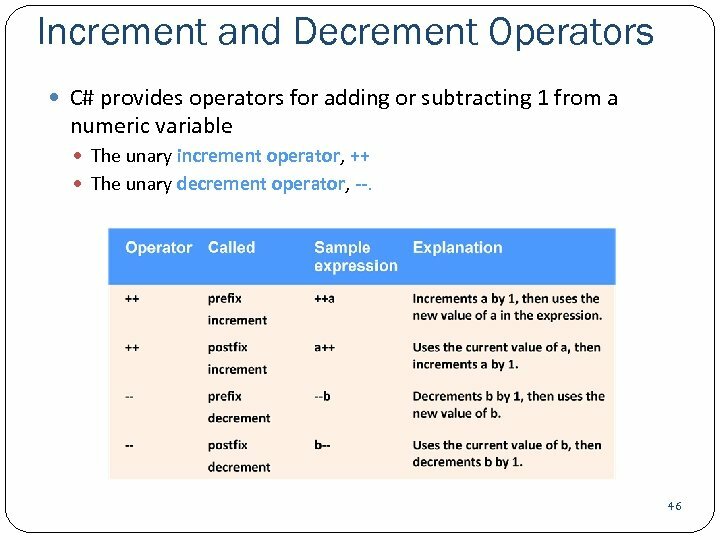 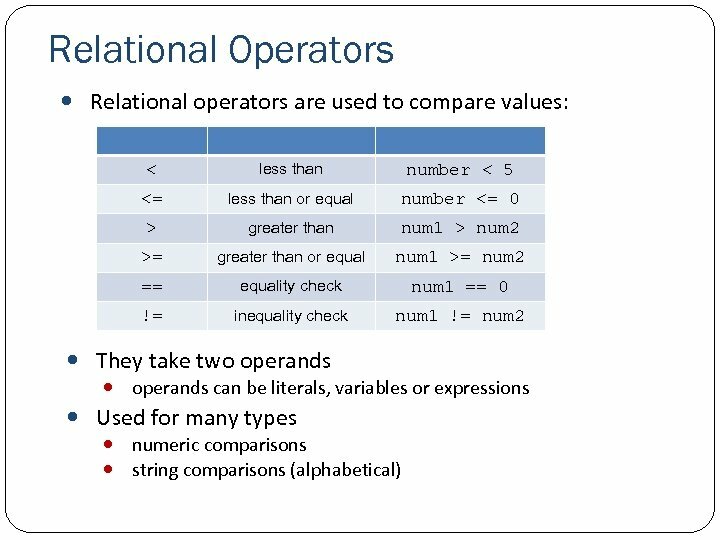 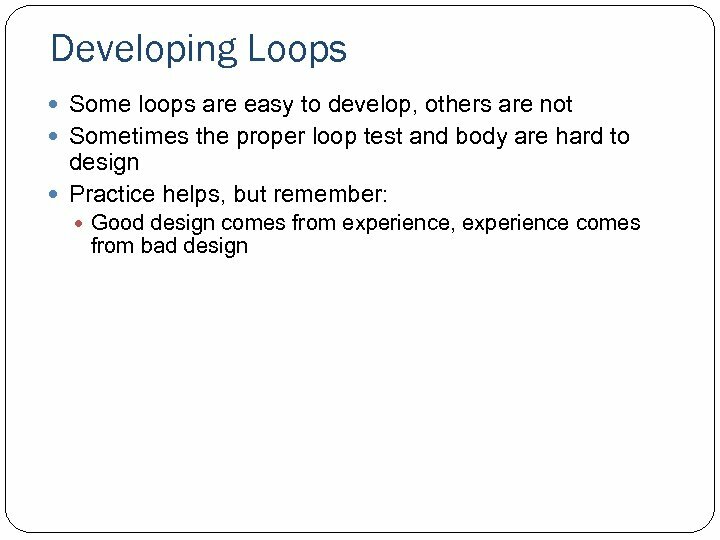 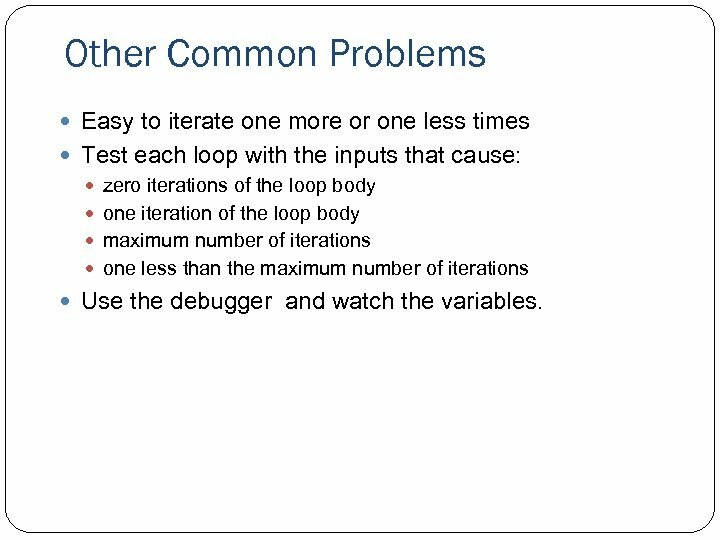 Other Common Problems Easy to iterate one more or one less times Test each loop with the inputs that cause: zero iterations of the loop body one iteration of the loop body maximum number of iterations one less than the maximum number of iterations Use the debugger and watch the variables. 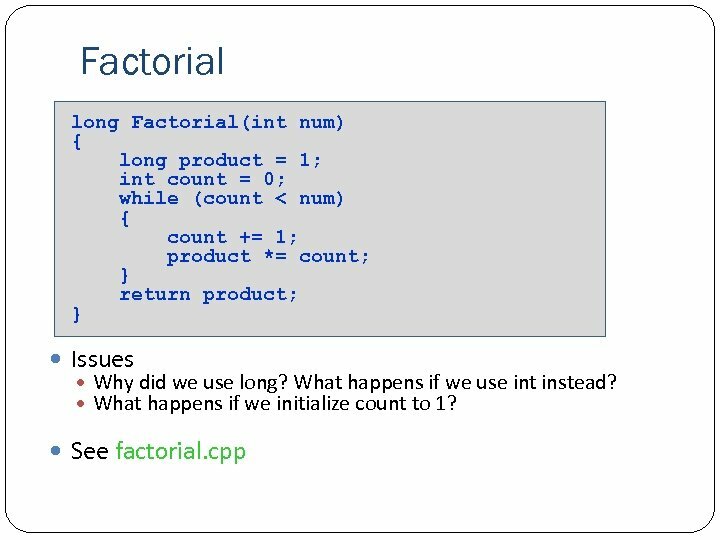 Factorial n! 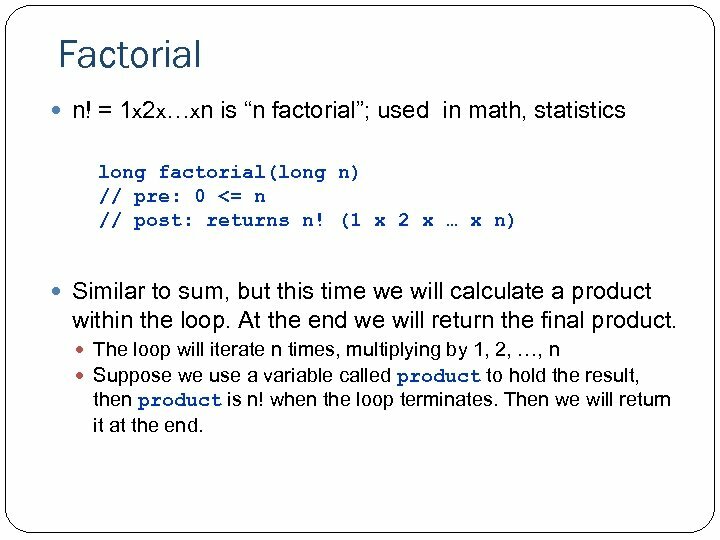 = 1 x 2 x…xn is “n factorial”; used in math, statistics long factorial(long n) // pre: 0 <= n // post: returns n! 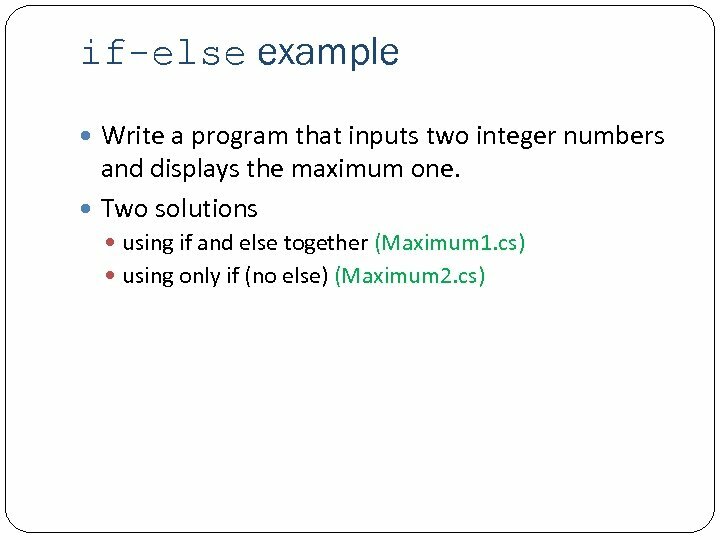 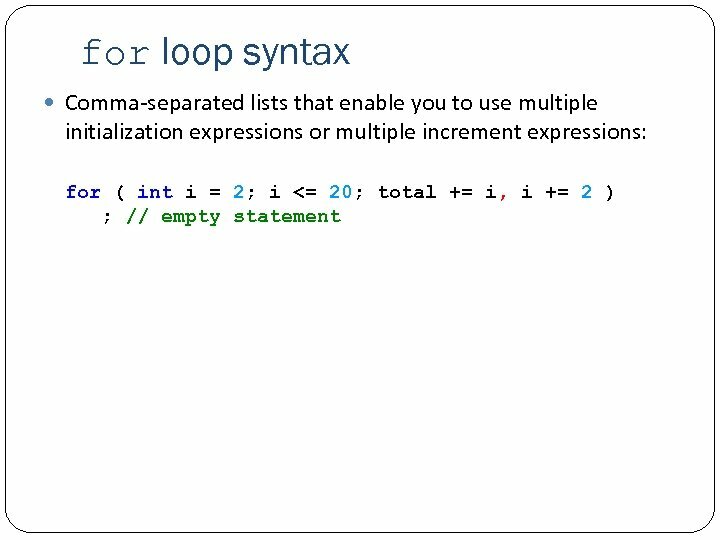 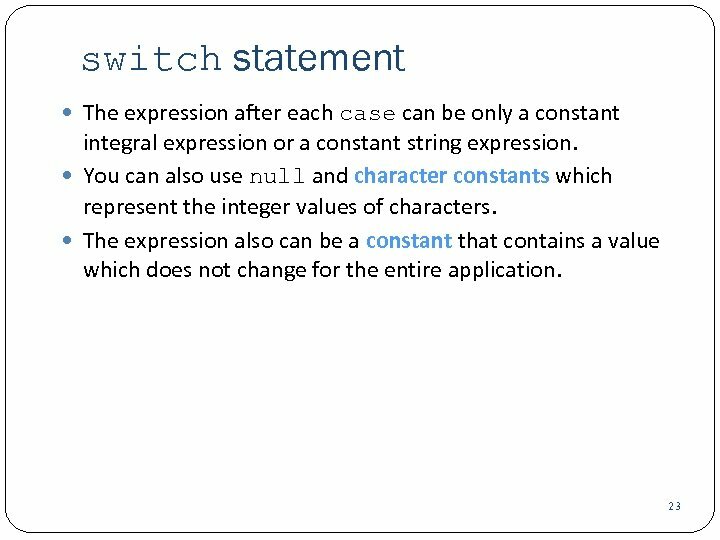 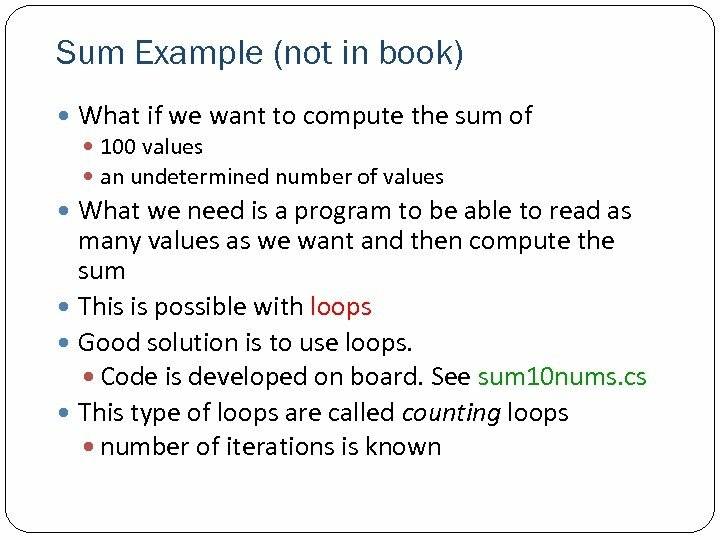 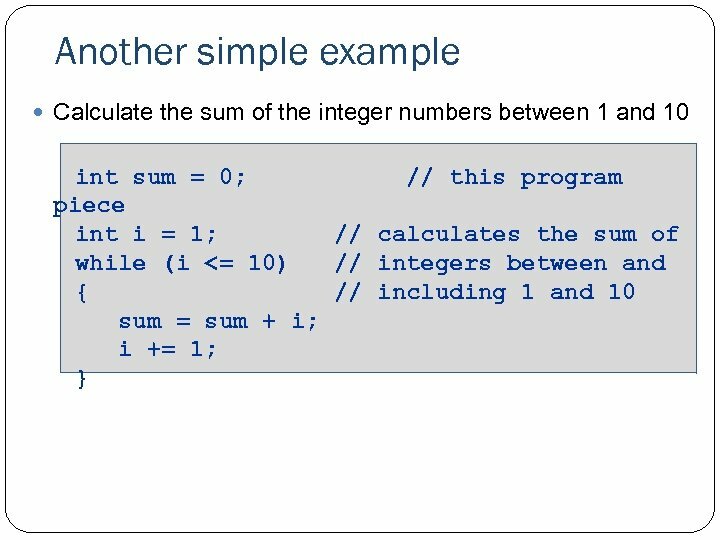 (1 x 2 x … x n) Similar to sum, but this time we will calculate a product within the loop. 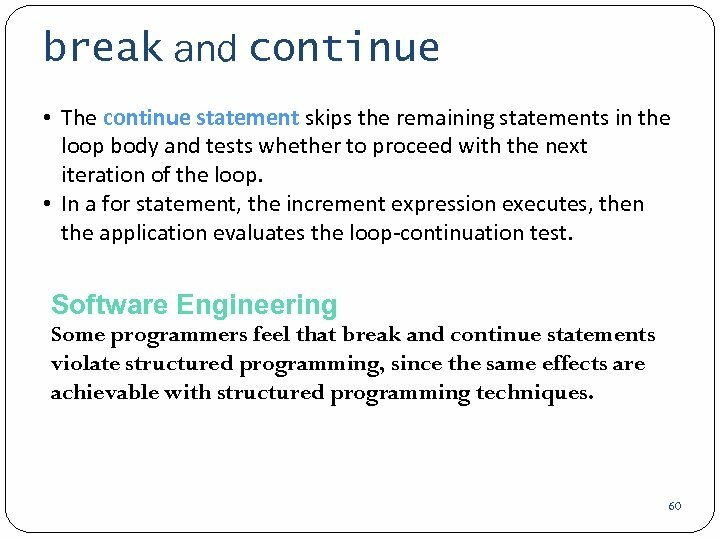 At the end we will return the final product. 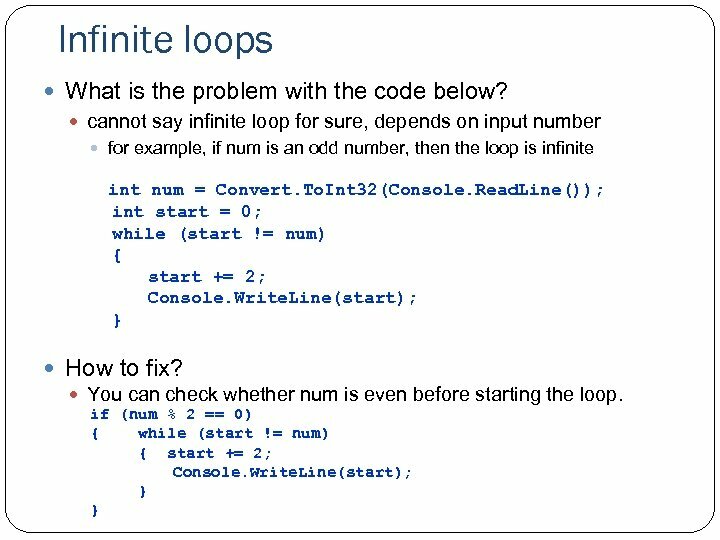 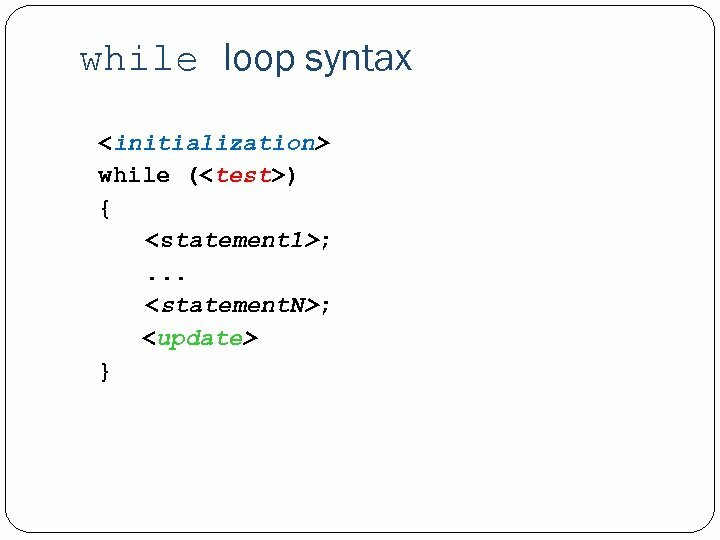 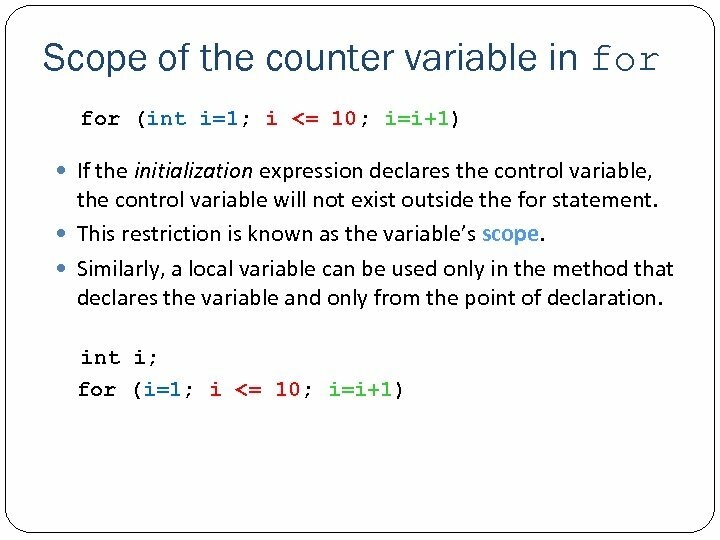 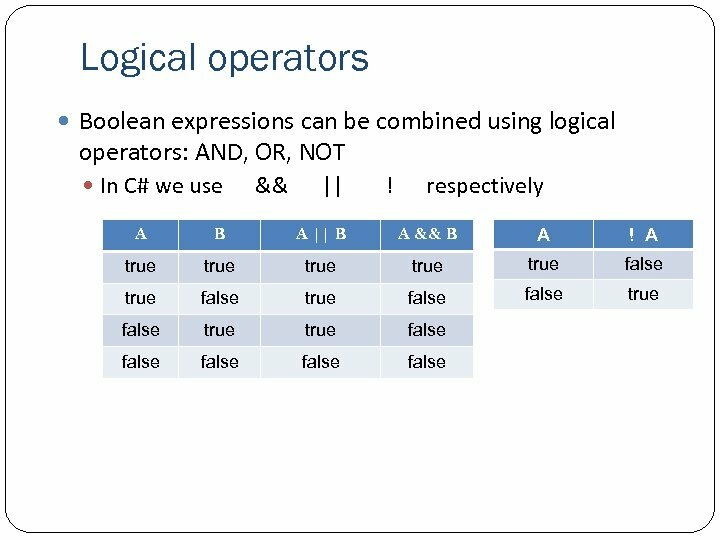 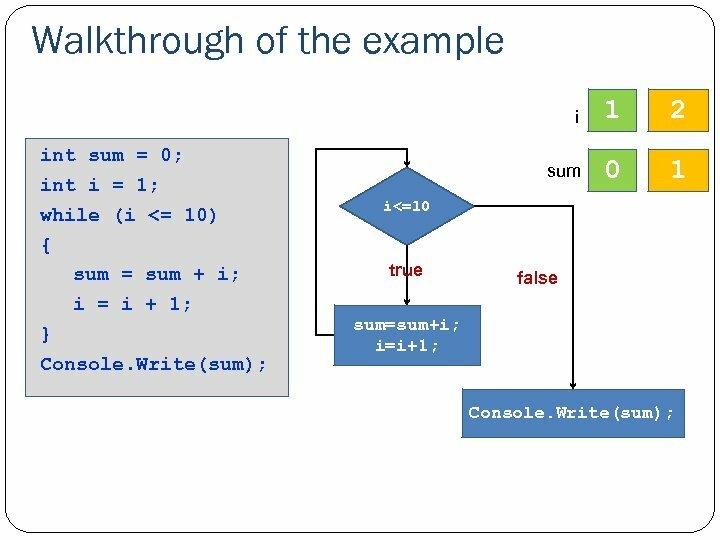 The loop will iterate n times, multiplying by 1, 2, …, n Suppose we use a variable called product to hold the result, then product is n! 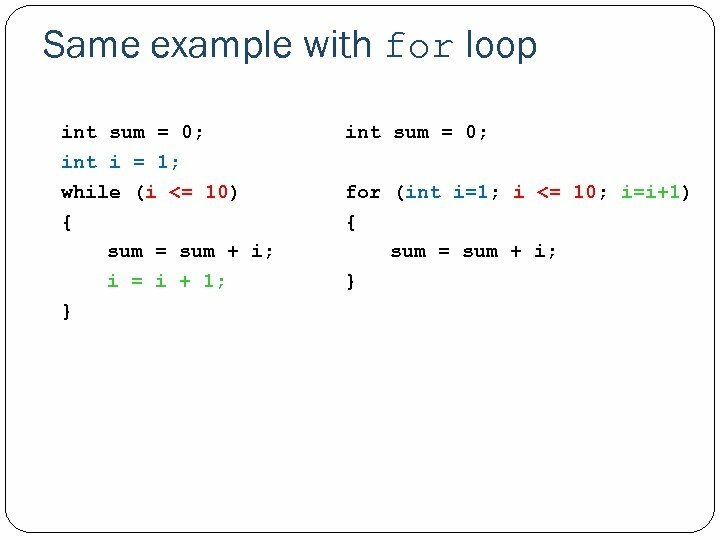 when the loop terminates. 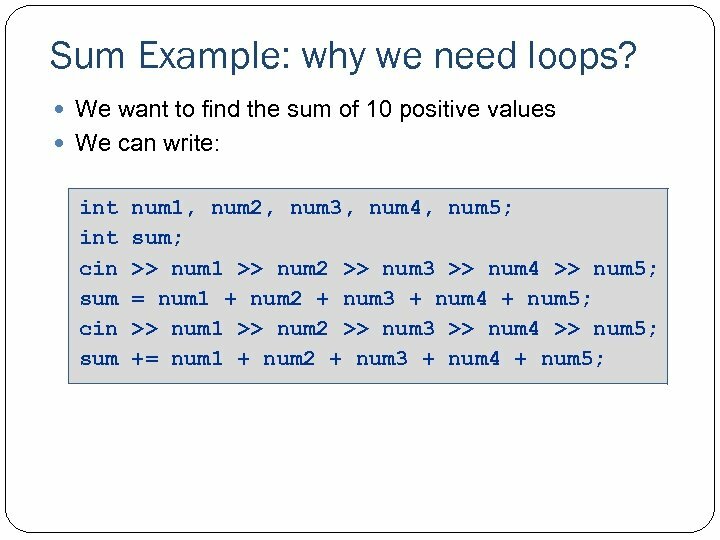 Then we will return it at the end. 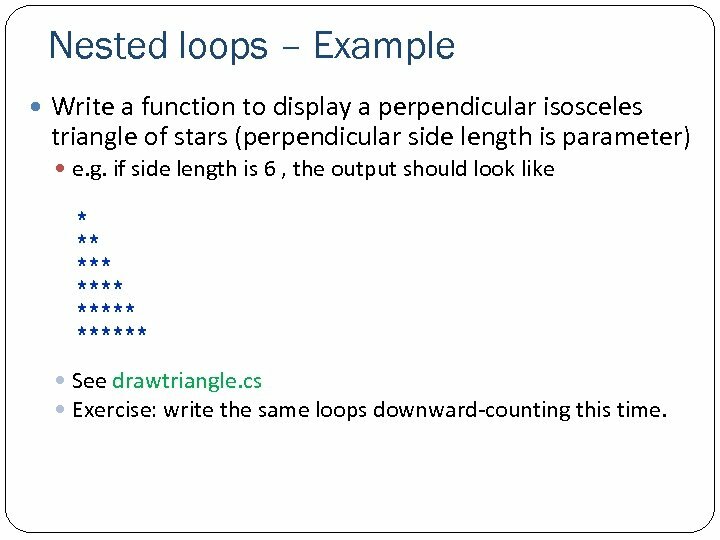 Nested loops – Example Write a function to display a perpendicular isosceles triangle of stars (perpendicular side length is parameter) e. g. if side length is 6 , the output should look like * ** ****** See drawtriangle. 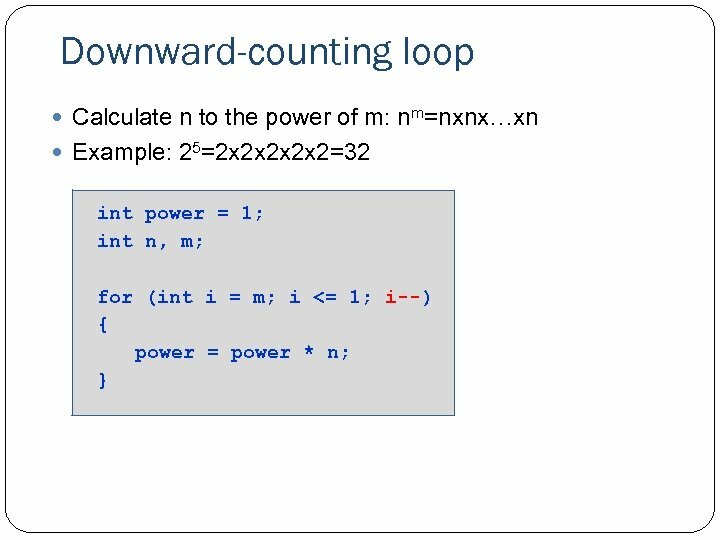 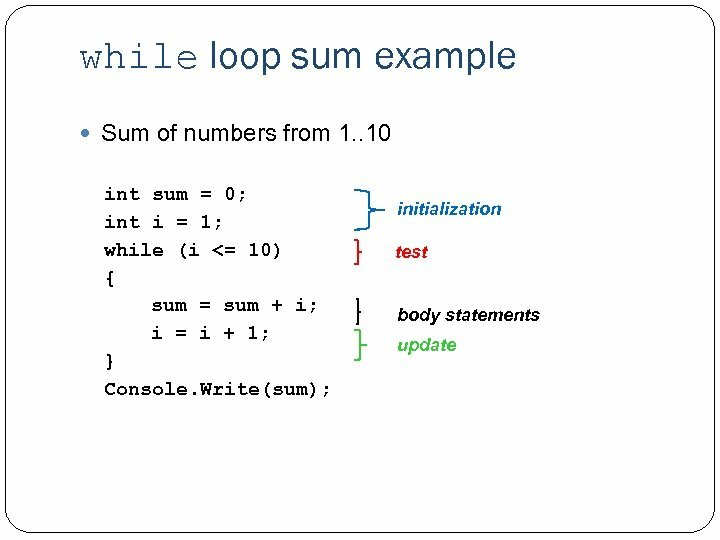 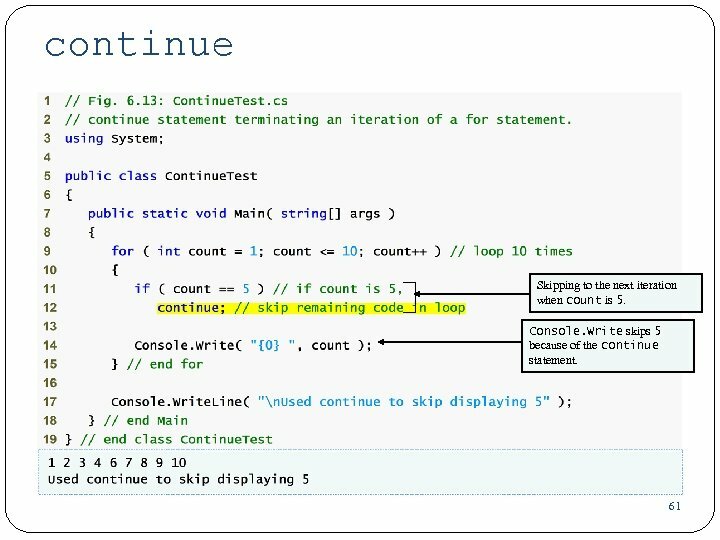 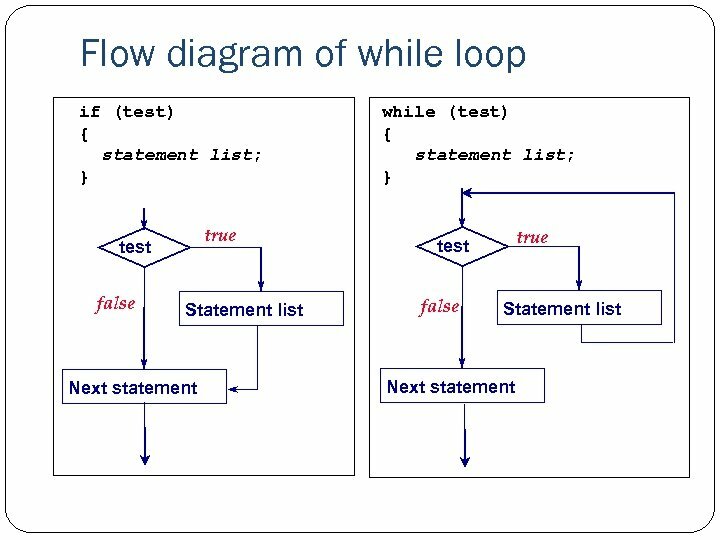 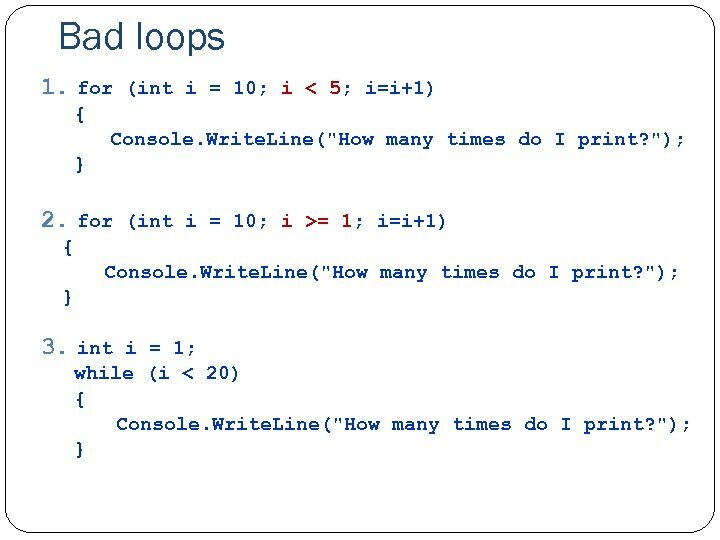 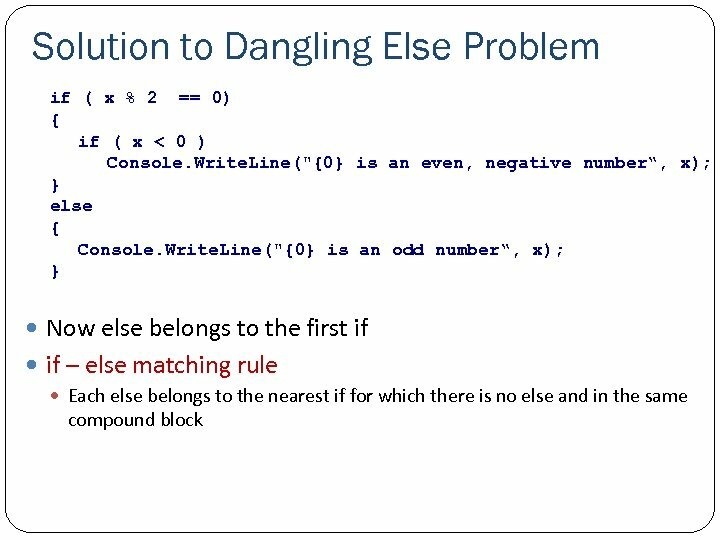 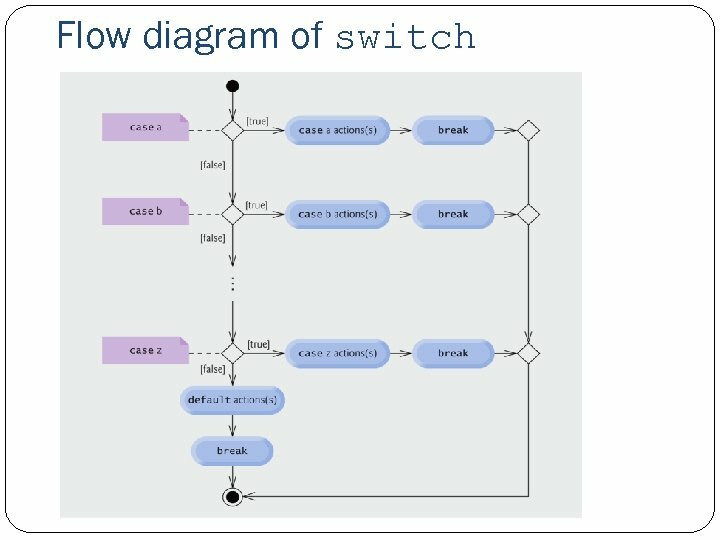 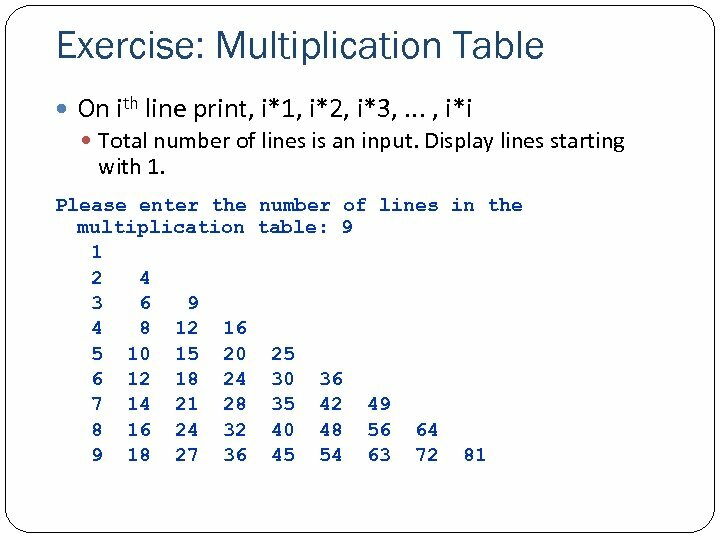 cs Exercise: write the same loops downward-counting this time.